It’s a great time to pick up some Christmas gifts or something for yourself during the Amazon – Veteran’s Day Sale – save 20% off select items including clothing, shoes, watches, jewelry and luggage via code 20OFFVET. Ends 11/11. The offer has to display on the product page to identify eligible items. 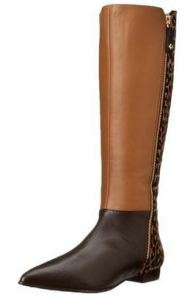 Pictured is a pair of riding boots available to size 13.